You asked for it, so we got it. NessCampbell Crane + Rigging is excited to introduce the Manitowoc Model 16000 to our fleet. As your needs change, our crane service fleet needs to change with it. So after listening to your comments, and researching the best way to meet your ever-evolving project needs, we pulled the trigger. While this crawler crane is comfortable working within all industries, it truly excels in plant turnarounds, wind farms, mining work, and the oil and gas industry. The Manitowoc 16000 is ideal for projects that require lifting loads at great distances. The Manitowoc Model 16000 is comfortable with all industries but will see its greatest worth when used in plant turnarounds, projects that require picks at great distances, wind farms, mining work, and the oil and gas industry. In addition to your requests and the versatility of this crawler, NessCampbell has always been a fan of Manitowoc quality and durability. We expect the newest member of the family to be with us for a long time. Throw in EPIC controls with CAN-Bus technology and dual LCD monitors with easy-to-read graphic displays, it will also be one of our best. 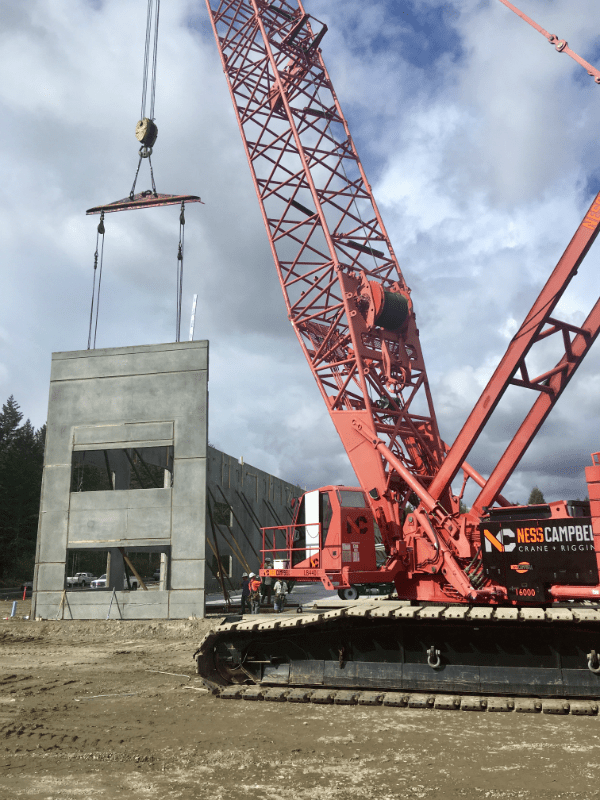 With a maximum lifting capacity of 440 tons and a heavy lift boom that stretches out over 295 feet, the Manitowoc 16000 Crawler Crane is still a nimble piece of machinery. A luffing jib extension that brings total reach to 432 and a wind jib make this crane a solution for almost any heavy-lifting situation. The 16000 also features the patented CANBUS, a six independent closed-loop hydraulic circuit configuration. By matching crane commands with the crane function, the crane is productive, efficient, and has absolute load control. The EPIC control system increases crane adaptability while diagnosing any problem with the engine, transmission, and other operating systems. 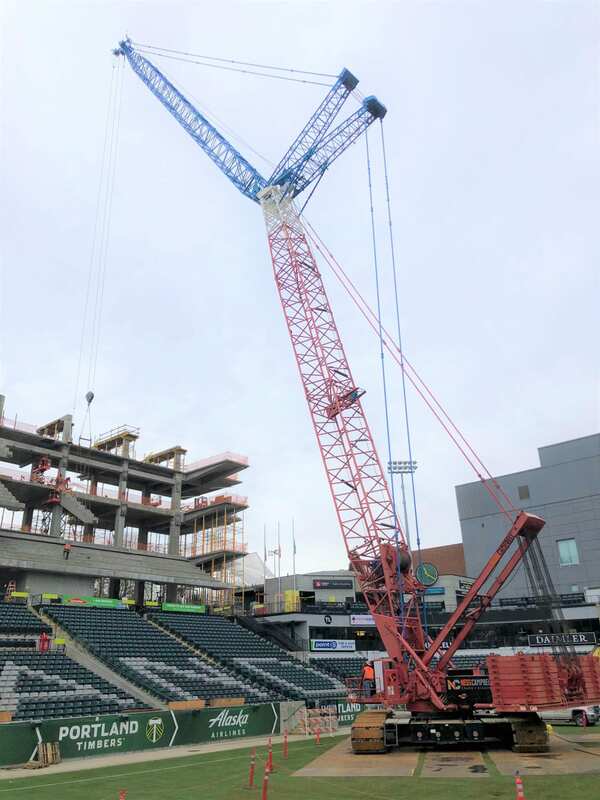 Manitowoc cranes allow for fast, decisive deployment and disassembly. Along with a host of other features, Manitowoc’s cranes are among the most advanced and feature-rich of any manufacturer. Think you might be able to put this beast to work? Contact us today for more information.